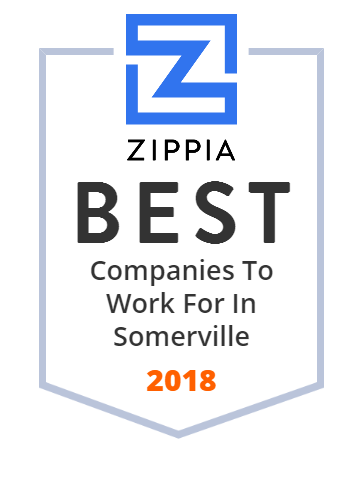 We hand-curated a list of the best companies to work for headquartered in and around Somerville, MA using data on salaries, company financial health, and employee diversity. Helping customers better communicate, safeguard, and secure their worlds. Learn about MagiQ Technologies on our official website. A leading foam fabricator, Rogers produces flexible foam products for custom applications in the automotive, medical & consumer products industries. Paint Nite is a company in the paint and sip industry, with headquarters in Somerville, Massachusetts. We're creating the backbone for the future of e-commerce order-fullfillment: intelligent machines that pick individual items flexibly and reliably. Podimetics is committed to world without diabetic foot ulcers. Formlabs is a 3D printing technology developer and manufacturer. Tettra is a simple, integrated company wiki for high performance teams that helps you easily manage and share organizational knowledge.